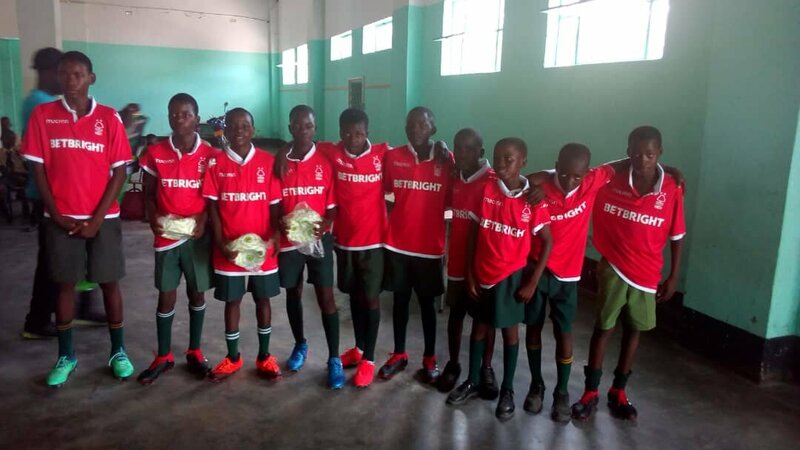 Tendayi Darikwa has delivered football kits to youngsters in Kotwa in Mashonaland East province as part of efforts to develop football from the grassroots level in the country. The kits were handed over to the youngsters by Zimbabwe Foreign Legion boss Misty Chipere in the presence of National Under 23 team coach Tonderai Ndiraya and Zifa technical advisor Wilson Mutekede. Other Nottingham players also took part in the donation which consisted of a selection of boots and shirts. Darikwa was born in the UK to Zimbabwean parents, and he made his debut for the national team in 2017 against Lesotho in a friendly match. He played his first competitive game for the Warriors against DRC in the 2019 Afcon Qualifiers in October this year.